Ron Barbosa asked well-known industry experts if Barbosa Cabinets Inc. should move to a larger building. All of them told him not to move. He did anyway and wound up right back where he grew up, in a brand new building. The move, which Barbosa's peers advised against, provided a lot more room and a much needed boost in the company's efficiency. It also enabled the company to build redundancy into its cabinet making process. Barbosa currently has 450 employees and makes kitchen and bath cabinets, entertainment centers, home offices and countertops in its new 312,000-square-foot building in Tracy, Calif. The building is expandable to 614,000 square feet. After five years in an older 90,000-square-foot building and renting an additional 40,000 square feet for its countertop shop and materials storage, executive vice president Ron says the company had become very inefficient. The new location includes a two-story office complex, maintenance office, an enclosed finish room and two large grade-level doors to allow lumber trucks to unload inside. Cabinet delivery truckloading capacity was increased with 11 loading docks instead of three. Employee morale was improved with better lighting, insulation and open space. The move was planned for a year. "After deciding to move to a larger building, we brought in Lignum Consulting to help design the plant layout," Ron Barbosa says. Eberhard Reyer of Lignum worked closely with the owners and shop foremen to design the floor plan. Machinery was placed strategically to provide good material flow, and space between departments allowed for future expansion. Lignum provided manpower and direction to catalog every machine, fixture and other item in the plant and to plan which items would be moved, modified or scrapped, and also in what order. "Lignum forced us to think of things we never would have thought of," Ed Barbosa says. The actual move was carried out in stages, moving one department at a time as completely as possible. Then, on the actual moving day, the assembly crews built cabinets for half a day and then packed up their tools, their jigs and their workbenches and went home. A different crew of employees, consultants and owners worked through the night moving work-in-progress and tools from the old building to the new one. The assembly crews showed up the next morning, sorted things out and started building cabinets where they left off. Barbosa's primary market is kitchen and bathroom cabinets (85 percent face frame and 15 percent frameless), entertainment centers and home offices, along with countertops. Most of its customers are large national builders that build multiple developments of larger, upper-end tract homes. All customers are in central and northern California, with the radius expanding to 150 miles and including such hot areas as San Jose, north Sacramento, Fresno and Merced. "Because home sales are down, there seems to be a trend toward large 300- to 500-unit condo and townhouse projects, mostly in the East Bay," says company president Ed Barbosa. "We are very vertically integrated," Ron says. "With the exception of thermofoil doors and some wood carvings, we do everything in house. We cut, machine and edgeband all of our own panels, and we rip and cut all our own hardwood components. We manufacture all of our own wood doors and drawers. We run our own crown mouldings and door mouldings. We finish 99 percent of our products and ship them in our own fleet of trucks." It was too difficult to break down some machinery and reassemble it in the new facility without too much downtime. So new machinery was purchased and installed at the new location. Then, after moving the entire plant, there was time to move existing machinery to the new plant. "This not only gave us the time and safety to move our existing machinery at our own pace, but we ended up with additional machinery for production, and a lot of redundancy for protection against breakdowns," Ron says. Barbosa moved the newest beam saw from the old location, and installed three new Holzma HPL 510 rear-load beam saws. One beam saw cuts all panels for the frameless department, while the three new saws supply the face-frame cabinets with cut parts. All saws are linked to the engineering department using Cut-Rite. A Weeke BHC 350 H2 machining center was added to be used exclusively for machining all frameless components, while the existing Weeke BP 150 is used for all custom machining. A second Friulmac Contouramat was purchased to tenon rail and stile doors. A Hendrick Pro V 126 panel saw was added to the two existing Pro V 102 saws and is also used for cutting miscellaneous parts and raised panels. 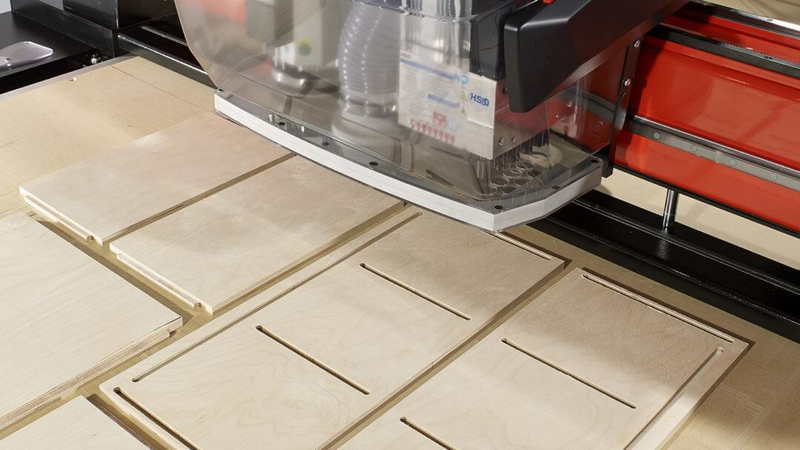 Two new Voorwood A117 shapers and sanders were added to shape outside edges of doors and drawer fronts. A second DMC sanding line consists of a Unisand three-head bottom sand, four-head top sand and two-head orbital. One line is now used exclusively for doors while the other is used for face frames. An Altendorf F-45 Select sliding table saw was also added. A MAW ABD 100 CNC dowel inserter was added to the frameless machining area, called the Euro department by Barbosa. This separate section also includes a Holzma beam saw, Weeke point to point, Homag edgebander, Ligmatech case clamp and Gannomat dowel inserter. Also in the new plant are three SCM gang rip saws and a dozen Whirlwind cutoff saws with TigerStop. Barbosa has two Weinig Hydromat moulders and one SCM Superset moulder used for mouldings, door rails and stiles. One Unique door machine is used for arch doors, and there are two Doucet clamp carriers inside a heated glue room. Several Q-systems roller conveyers and carts are used to transfer cabinets from assembly to the finishing room, provide a masking and prep area for employees at a comfortable working height, and to transfer parts to assembly and transfer doors to the sanding area. Most cabinets are built with solid oak, maple, cherry, beech and walnut doors, drawer fronts, face frames and mouldings. 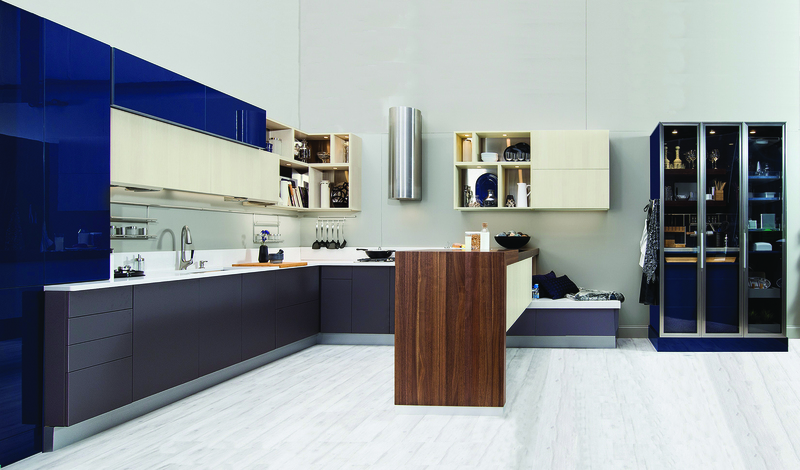 Matching veneered panels are used for cabinet ends, backs and some door panels. Cabinet interiors are mostly white melamine. "The finishing area in the old building was only 6,000 square feet with three spray booths," Ron says. "It was jam-packed and was our biggest bottleneck. During our busy season it ran 24 hours per day, sometimes six days a week." In the new location, it was expanded to 54,000 square feet, providing room to work efficiently in a single shift with room for future expansion. The finish department is outfitted with a new towline and transfers completed cabinets through a stain booth, sealer booth, flash tunnel and oven, sanding booth, topcoat booth and another flash tunnel and oven. Final touches are done to the cabinets while being transported on the towline from the finish department to the loading dock area. Four additional spray booths handle special colors, large-sized jobs, high-end custom jobs, sample doors and customer service special orders. All of the cabinet mouldings are sealed and topcoated with a Cefla moulding spray line consisting of a linear sander, automatic sprayer and automatic stacker. "We get a lot of comments about our finish being the best. A special committee working on a quality assurance program has brought up the quality of the entire cabinet line. "We grew up on a dairy, but when our father got out of the dairy business in 1968, he went to work for an uncle who was a cabinetmaker," Ron recalls. Ron, Ed and their father worked for different cabinet shops for 10 years before starting this company in 1978. "The first shop was five miles away in a 1,600-square-foot building. Four moves later, the dairy we left was right across the street from the new plant. This was just a field of jackrabbits. We ended up right back where we started. 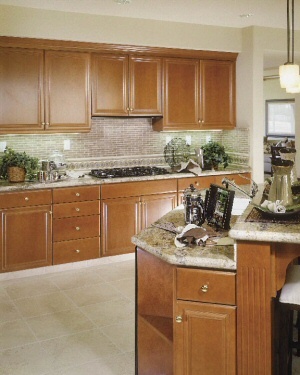 "We build cabinets the same way we did 26 years ago, the same construction methods, the same quality, the same materials. 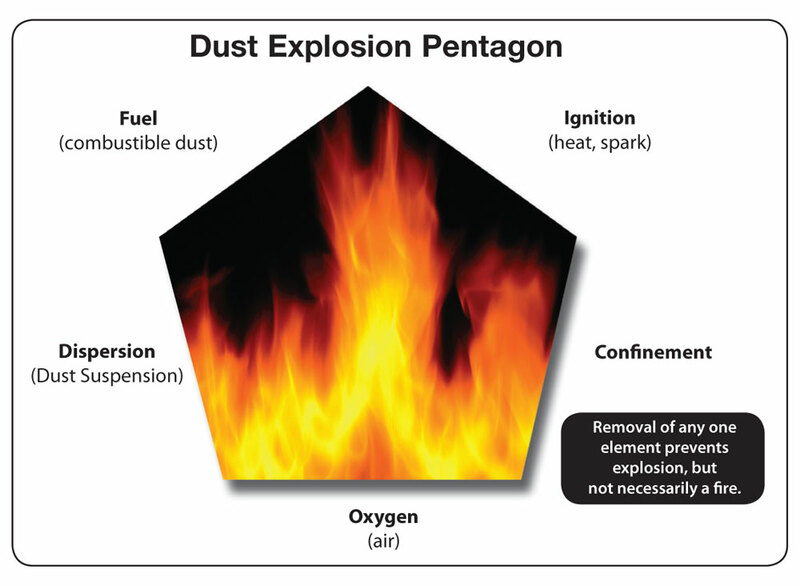 The only difference is we do it a lot faster because of more efficient machinery and more room. And builders respond to that. They always go for low price, but when things fall apart and don't get delivered on time, they prefer the old fashioned methods. That's what we do."